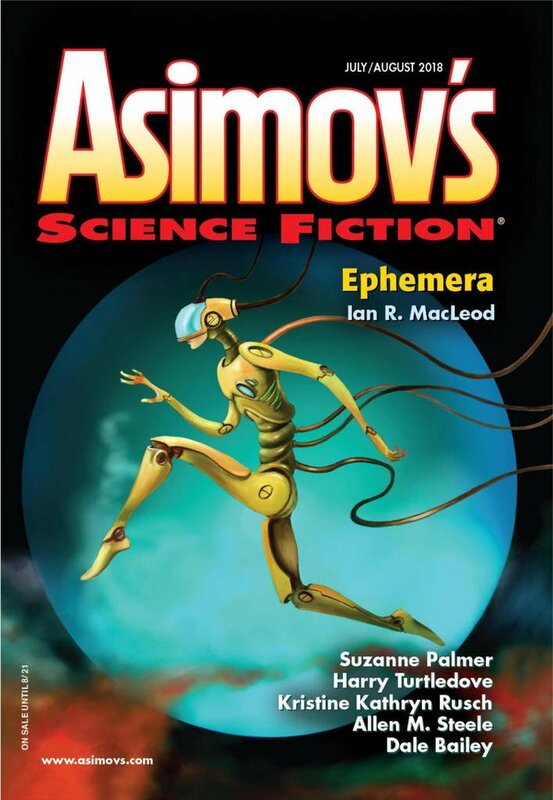 "Rules of Biology," by Dale Bailey [bio] (edited by Sheila Williams), appeared in Asimov's Science Fiction issue 07-08|18, published on June 15, 2018 by Penny Publications. Pro: This is an example of a story where the plot involves the protagonist failing to achieve his goal. Esterman doesn’t want to lose his daughter, but it’s inevitable. Not just because he realizes the problem too late, but because, as his wife notes, it’s his nature to walk away. The parallel with real parents who walk away from their kids is obvious. The information that Esterman himself was the child of a father who walked away is consistent with that. Con: The message is a little too obvious. And Esterman is too much of a jerk for us to really care what happens to him.